SIR HENRY GOODRICK. was Lord of the Manor of Grewelthorpe in 1694 when there was a complaint that his tenants were trespassing on Danby’s lands at Oakbank near Nutwith and they were cutting wood that was reserved for the Common Oven at Masham. Sir Henry Goodricke, (1642£1705), diplomatist, eldest son of Sir John Goodricke by his first wife Catherine Norcliffe, was born 24 Oct. 1642, (created baronet by Charles I, for whom he suffered severely in estate during the civil wars). He was returned to Parliament for Boroughbridge, Yorkshire, on 7 Nov. 1673 and again on 14 March 1678£9. He first served in the army, and obtained the command of a regiment of foot, which was disbanded in 1679. He was appointed, 28 Nov. 1678, envoy extraordinary to the court of Madrid. His instructions are printed in Charles Alfred Goodricke’s ‘History of the Goodricke Family,’ p. 25. In June 1682 he made, on behalf of Charles II, an offer of mediation in the war between France and Spain. He was, however, soon afterwards expelled from Madrid, in consequence of the anger of the Spanish court at the policy of Charles II, he exasperated the situation further by insisting that the British flag should fly over the embassy, he was taken and lodged in a neighbouring convent of Hieronymites. He escaped and returned to England via Paris in the following February. He was actively concerned in securing York for the Prince of Orange (19-22 Nov. 1688, Memoirs of Sir John Reresby, p. 412), and was rewarded (26 April 1689) by the post of lieutenant-general of the ordnance to the Tower of London, which he held until 29 June 1702. On 13 Feb. 1689-90 he was sworn of the Privy Council. On 11 July 1690 he was placed on a commission appointed to investigate the behaviour of the fleet, and particularly of Lord Torrington, who was accused of supineness in a recent engagement with the French off Beachy Head. 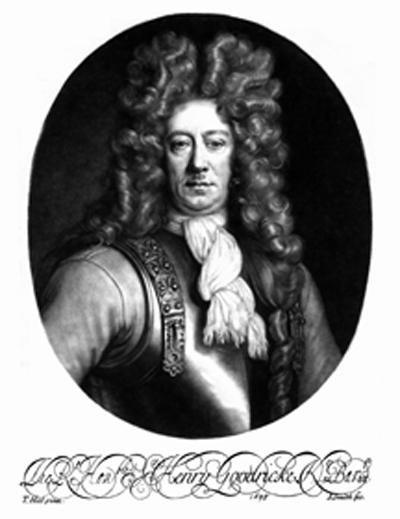 He represented Boroughbridge in parliament from 1688-9 until his death. His speeches in the House of Commons were not very frequent, but were usually brief and very much to the point, and purpose. He died on 8 March 1704-5, and was buried in the family vault at Ribston,Yorkshire.